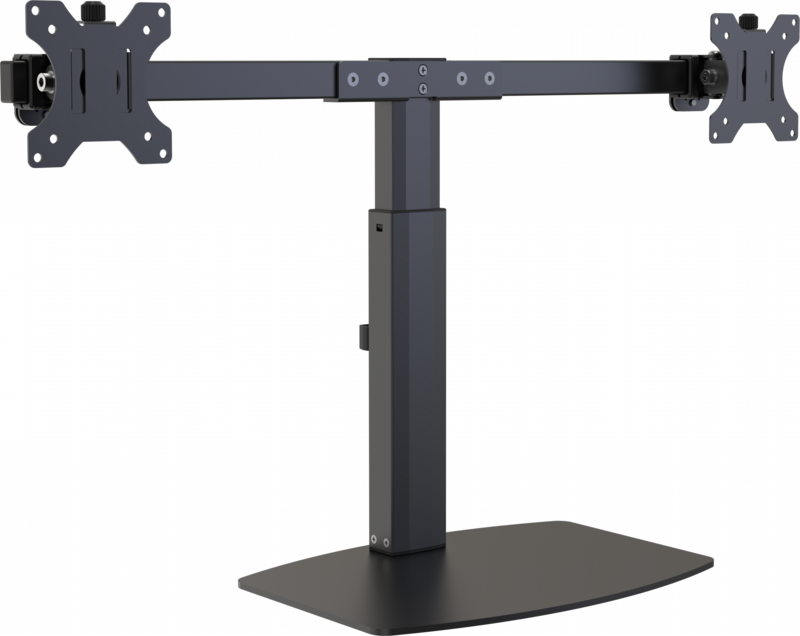 The VFM-DSDG (Vision Flat-panel Mount – Desk Stand Dual Gas) combines premium materials and parts with sharp design. It fits two monitors which have 75 x 75 mm or 100 x 100 mm rear mounting holes. Vision have obsessed over the detail to make it as quick and easy to setup. This mechanism supports the weight of the display at any height. Just move it up or down and let go and it will stay where it is. 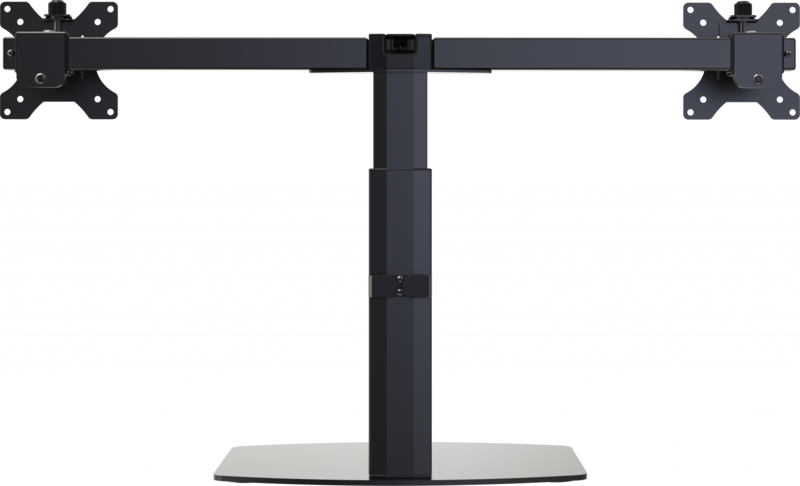 The centre of the display can be positioned from 352-462 mm (13.9-18.2″) above the desk. 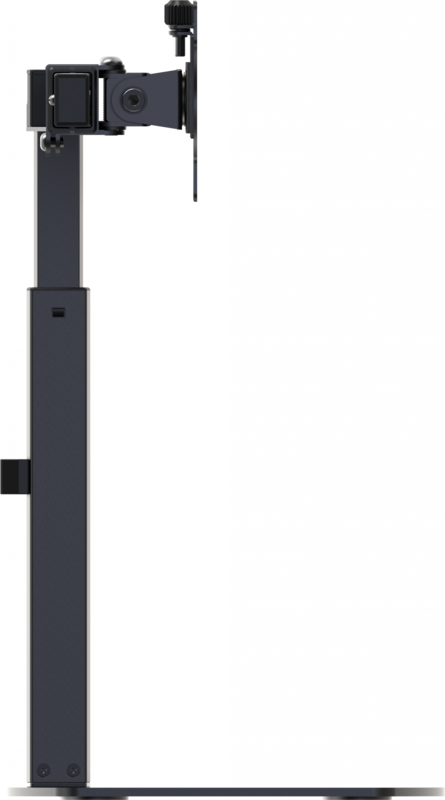 The VESA mounts slide along the horizontal rail and can be adjusted from 207-665 mm (8.1-26.1″) apart. This makes the maximum width of a display 665 mm (26.1″). The VESA plate is quick-release to assist with fast assembly. The VFM-DSDG can support monitors up to 6 kg (13.2 lbs) per display. 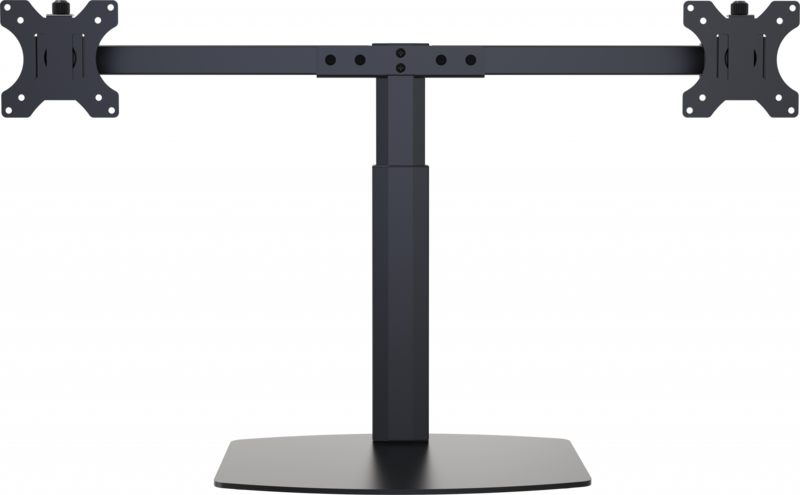 If a larger display has the correct mounting points and weighs less than the SWL this stand can support it safely. Clips on the upright secure cables which can be routed along the mount. The ultra-flexible design gives -20°~20° of tilt adjustment, and -10°~10° of swivel range.